by Shannon Clark in Gift Ideas | 13 comments | Contains affiliate links. We’ve all been there: short on money and even shorter on time with Christmas right around the corner. This year, stay ahead of the game with these easy DIY gift ideas you can finish in under an hour. December 25th: I struggled to push the needle through the thick layers of flannel, pulling the rows of shiny pink embroidery floss through behind it. I was trying to complete a special gift for my then 1-year old niece. The face of the stuffed bunny was slowly revealing itself, but I only had minutes left before it was time to leave for our family gathering. I love doing DIY Christmas gifts so much. They’re a great way to give something thoughtful and unique, full of meaning, yet still within my small Christmas gift-giving budget. Still, they do have a way of adding stress to the holidays, don’t they? Well, since then I’ve found a couple of ways to help ease the flurry of Christmas morning sewing. One of those is by finding simple projects I can do in under an hour. I’ll get to the other one in a second, but first, I wanted to share some of my favorite DIY Gift Ideas you can make in under an hour. Make this the year that you stay on budget and out of debt! Check out the whole budget Christmas series. For more easy DIY Gift Ideas, follow me on Pinterest. Homemade Vanilla Extract picture used with permission from Pistachio Project. Homemade Spice Blends – There are many ideas and recipes for making your own spice mixes to give as gifts. If you have a special secret ingredient or flavor you love to use in your cooking, this gift would be especially personal and fun. Edible Gift Ideas – Continuing with the jar theme, there are lots of ideas for edible Christmas gifts, which are not only yummy but also tend to disappear quickly. Love the layered cookie mix! So cute! Homemade Infused Cooking Oils and Vinegar – Add yummy flavors to oils and vinegar. Anyone who loves to cook will enjoy this one! Homemade Hot Cocoa Mix – I love these ideas for spicing up cocoa mix. It’d be fun to give a couple of different varieties as a gift. Yum! 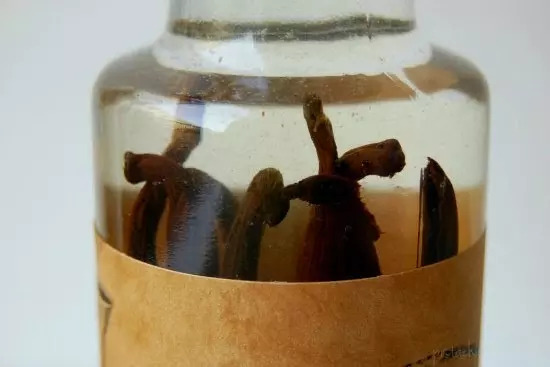 Homemade Vanilla Extract – I actually received this as a gift last year, and I loved it! It’s really great because it’s consumable, so it doesn’t add any clutter to your home. 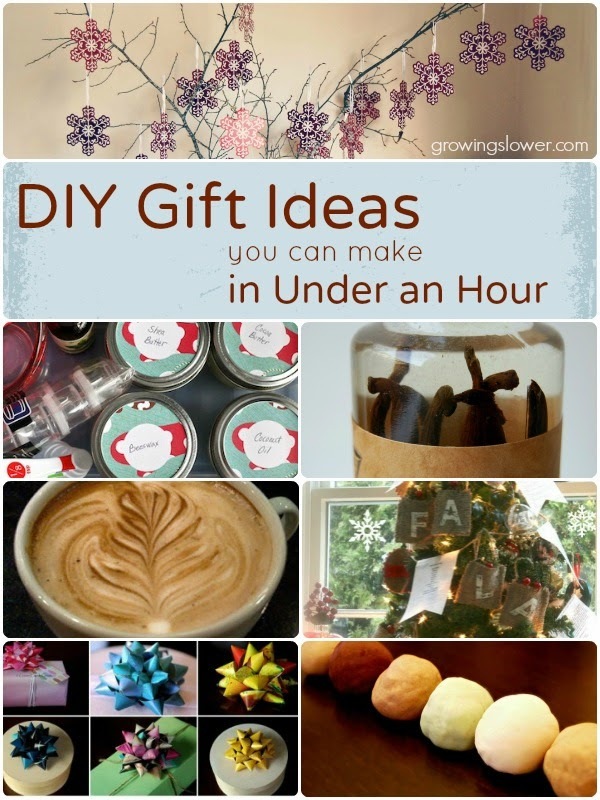 15 Homemade Food Gift Ideas – There are even more cute DIY food gifts here. I want to try the no-knead bread mix in a jar. So impressive! Maple Candied Walnuts – These look sooo yummy! Soft Woolen Bunny Sewing Pattern – This was the free sewing pattern I was making for my niece on that Christmas morning. The original pattern was for a wool bunny, but instead of wool I used one of her flannel receiving blankets from when she was tiny. It took me more than an hour with all the re-cutting pieces, seam ripping, and resewing thanks to working with my own toddler on my lap. However, if you have more quiet in your life right now, it’d be a simple and sweet gift for any little one. 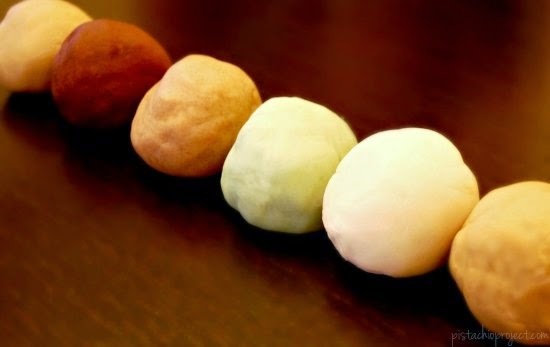 Natural Christmas Playdough – This post includes instructions for making Christmas colored and scented play dough for kids. I am so delighted by the idea of adding yummy smells to play dough for a more sensory experience. This would be extremely cheap and easy to make, and any kid will love it! Image used with permission from Pistachio Project. 21 easy gifts you can make for kids – These are all really cute ideas that are easy to make, and many have links to tutorials for exactly how to make them. I especially love the idea of making a hand puppet for my kids. I have always wanted to do that! 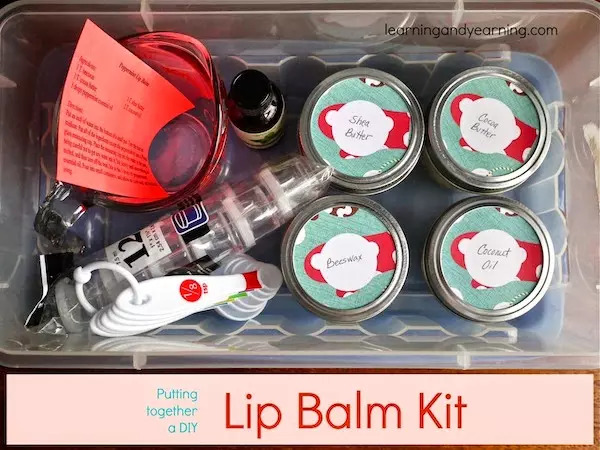 DIY Lip Balm Kit – Little girls will love making their own natural lip gloss with this gift. They’ll also love spending time with you as you help them use it. What a great excuse to spend time with your favorite little ones. Image used with permission from Learning & Yearning. Baby’s First Ornament – This is so precious. Mom and baby will love putting this ornament up each year. 18 gifts to make for babies – Most of these could be made in an hour and include links to turtorials to show you how. Gigantic List of Christmas Gifts Kids Can Make – This list has gifts for absolutely everyone on your list, but of course the grandparents will be most appreciative of these cute designs by your little ones. DIY Photo Coasters Tutorial – These are one of those DIY gifts that are actually cute and useful, and hard to mess up. Definitely a must do! 8 Gift Ideas for Families – It can really save money and time to give one family gift instead of a separate present for each person. For anyone that you give one family gift, especially neighbors, check out these ideas. The fifth one would be really really cute, and incredibly simple! 7 Gift Ideas for Book Lovers – This one includes links to lots of tutorials. I love the idea of the ring-bound journal. It would be so easy to make, and so cute! 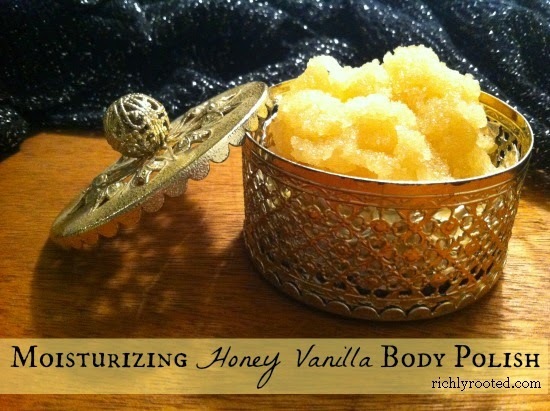 Moisturizing Honey Vanilla Body Polish – Pamper your loved ones with this lovely body scrub recipe. It only has four ingredients, and would be extremely affordable and quick to make. Put it in a lovely jar and it will be a great gift. Soothing Lavender Hard Lotion Bars – With the dry air of winter coming on, this is one gift I’d love to receive. You have to check out how beautiful these are! Moisturizing Hand and Foot Scrub – This is what every woman needs for Christmas, a little pampering. I can just imagine how good this would smell! Nourishing Sugar Scrub – I love this particular scrub recipe because it only has 3 ingredients, all of which I have at home right now, and it’s very healthy and natural. 100+ DIY Beauty Products – If you love the idea of giving a little TLC to the other ladies in your life, this is a great resource. My favorites? The bath bombs and bath teas. How luxurious! 14 DIY Gift Ideas for Women – Check this out for all things girly from chocolate to fancy bath products, including tutorials for each one. Gold, Frankincense, and Myrrh DIY Christmas Gift – This is a cute twist on the very first Christmas gift. 15 DIY Gift Ideas for Crafters – As a knitter, I would love to get the handmade stitch markers in this post. I have always admired these on Etsy, but have never quite gotten around to making them for myself. There are lots of other ideas for gifts related to just about any other craft, and chances are any crafter will really appreciate a handmade gift. Natural DIY Cleaners Gift Basket – Now, I know not every woman would like getting cleaning products for Christmas, but I’ve actually had requests to make my DIY Cleaning Recipes before. So this would make a cute gift for the right person. 9 DIY Gift Ideas for Men – There are some super classy and some totally fun gift ideas for the men in your life. Not all of these could be done in an hour, but still some great ideas here! 28 DIY Stocking Stuffer Ideas – All of these ideas are really simple to make, and there is a link to instructions on how to do them all. There are also ideas for including them in a DIY gift basket. 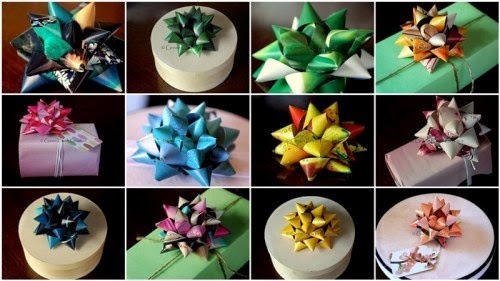 Recycled Paper Bows – You’ll never pay for ribbons again after this tutorial. So cute! Printable Gift Labels – Print these adorable gift tags free right from your home computer. Image used with permission from EcoKaren. Activity Based Advent Calendar – I absolutely love this take on an Advent activity calendar for kids. Not only is it a really fun tradition for the kids, but you’ll love how it looks decorating your house too! 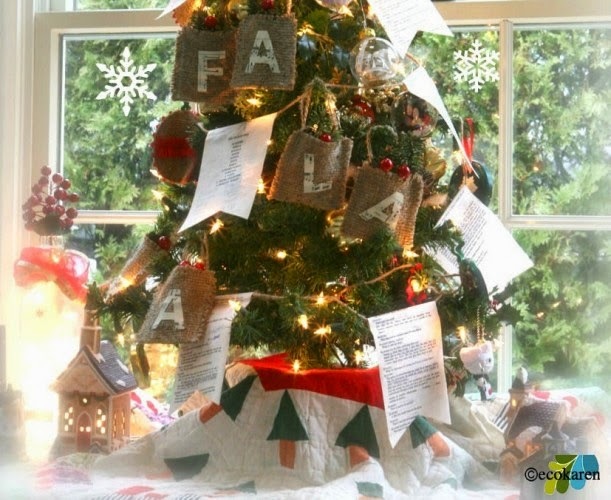 How to make Burlap Christmas Ornaments – Here’s a tutorial for making the cute burlap “FA LA LA” ornaments pictured above. One other way I have been taming all of my wild DIY gift ideas is my trying hard to pick just one major project per year. Last year of course, was the imfamous bunny project. The rest of my DIY gifts I am trying to limit to things on this list, so that I can still be a fun mommy come Christmas morning. When I saw my sweet niece many months later with the tattered bunny clutched lovingly under her arm, the ear now completely lost, I knew it had all been worth it! But next time, I think I’ll pick something just a bit simpler to make, so we can both have a fun and relaxed Christmas morning. 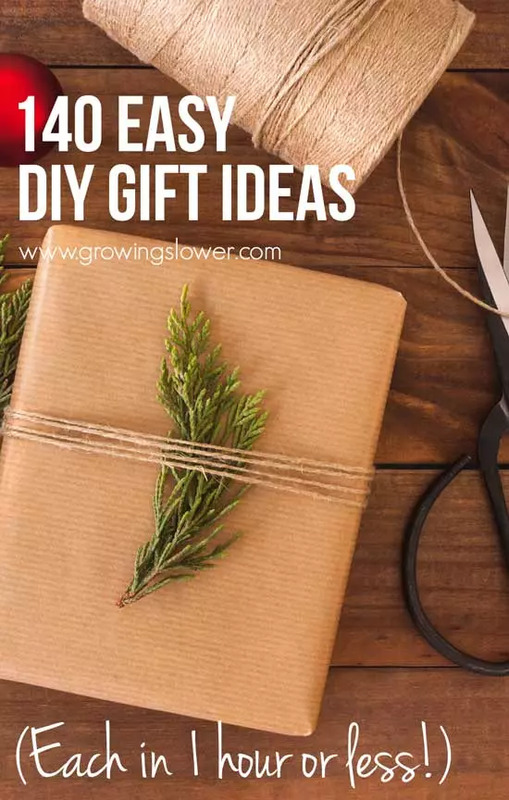 I hope you’ll find the same peace with this list of easy DIY gift ideas this year. Happy Christmas! What is your go-to DIY gift? Share your ideas in the comments! Then stop by and read the next post in the debt-free Christmas series. 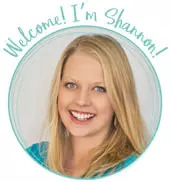 This is a wonderful resource, Shannon! Thanks so much. I’m pinning it now. We (I) try to make the majority of our gifts every year too. Saving money is essential but I also really like the fact that it forces me to think about what exactly would be useful and a blessing to the recipient. 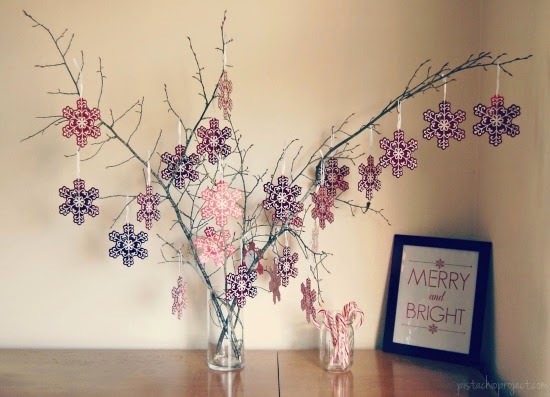 I’m writing about handmade gifts on my blog right now, so I’ve already gotten in the Christmas spirit here! It’s kind of strange (for me) to already be thinking about Christmas, but hopefully it will mean less rush in December! I’m pinning your list as another helpful resource. Thanks! I agree! This is my first year starting so early! I think it is going to be a new way of doing things for me. I too hate that last minute rush, especially since we have to ship many of our gifts. It will really save on shipping not to have to send them last minute. I am really loving thinking of the creative gifts that each of my family members will love. Thanks for pinning! Thx for featuring some of my DIY’s. I can’t believe you posted this in Sept! And now it’s less than two months away! Off to check out others! and Pin! I know! How is it November already? I’m really happy I made all my plans early this year, now it’s time to get crackin’ with finishing the DIY gifts I started. 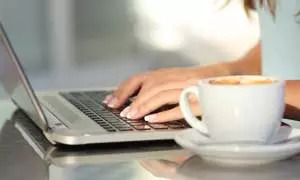 Thank you for including so many of my links! Great list of ideas! Thanks for listing my gifts kids can make post on here. I will have to come back and look through the other ideas. Great list! My other key to saving my sanity — start REALLY early. Like, no later than summer! Thank you so much for mentioning my post! This is a great list! I have always tried to make at least half of my Christmas gifts each year as I have a rather large family. Last year I made scarves for everyone on my list. This year I am making Christmas sleighs, (for my coworkers) body butter, sugar scrub and Shawls (for my female relatives. Not all of them are getting Shawls). For the men on my list this year I am giving gift cards. I started getting them right after Christmas last year. I have restaurant cards and store cards. I found cute little stockings at Dollar Tree last year right after Christmas and bought a ton of them. Then I bought some flat backed tine Christmas ornaments at Michael’s. I also made gift card holders out of left over Christmas wrapping paper. I will hot glue the ornaments to the stockings, put a gift card in the holder and slip into the stockings. I have a Santa basket. I will put the stocking inside it and just let them pick one. (If they don’t want the one they have, they can trade with someone for another one. (We did that 2 years ago with EVERYONE getting gift cards and they loved it.) I just need to pick up 2 more gift cards and the men will be done. .